Summary: An fMRI study conducted by University of Glasgow researchers reveals how our brains can predict what our eyes will see next. The study also reveals the potential for fMRI to contribute to this area of neuroscience research, as the authors are able to detect a difference in processing of only 32ms, much faster than is typically thought possible with fMRI. 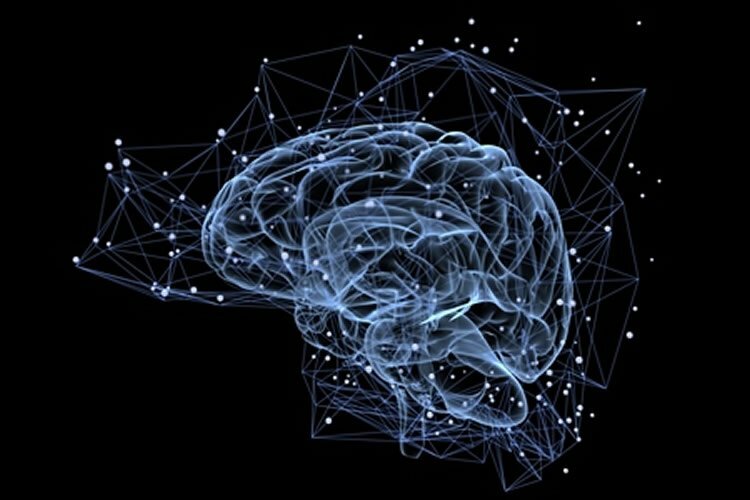 NeuroscienceNews.com image is adapted from University of Glasgow news release. Funding: The study, “Predictive feedback to V1 dynamically updates with sensory input” is published in Scientific Reports. The research was funded by the BBSRC and a Human Brain Project grant. Image Source: NeuroscienceNews.com image is adapted from University of Glasgow news release. University of Glasgow “The Human Brain Can “See” What’s Around the Corner.” NeuroscienceNews. NeuroscienceNews, 4 December 2017. University of Glasgow “The Human Brain Can “See” What’s Around the Corner.” http://neurosciencenews.com/mri-brain-prediction-8094/ (accessed December 4, 2017). Predictive coding theories propose that the brain creates internal models of the environment to predict upcoming sensory input. Hierarchical predictive coding models of vision postulate that higher visual areas generate predictions of sensory inputs and feed them back to early visual cortex. In V1, sensory inputs that do not match the predictions lead to amplified brain activation, but does this amplification process dynamically update to new retinotopic locations with eye-movements? We investigated the effect of eye-movements in predictive feedback using functional brain imaging and eye-tracking whilst presenting an apparent motion illusion. Apparent motion induces an internal model of motion, during which sensory predictions of the illusory motion feed back to V1. We observed attenuated BOLD responses to predicted stimuli at the new post-saccadic location in V1. Therefore, pre-saccadic predictions update their retinotopic location in time for post-saccadic input, validating dynamic predictive coding theories in V1. How does the brain process something that is new or unexpected? How does a child’s brain process information with almost everything being new an unpredictable? Is processing speed slower or do eyes move more slowly when encountering something new?